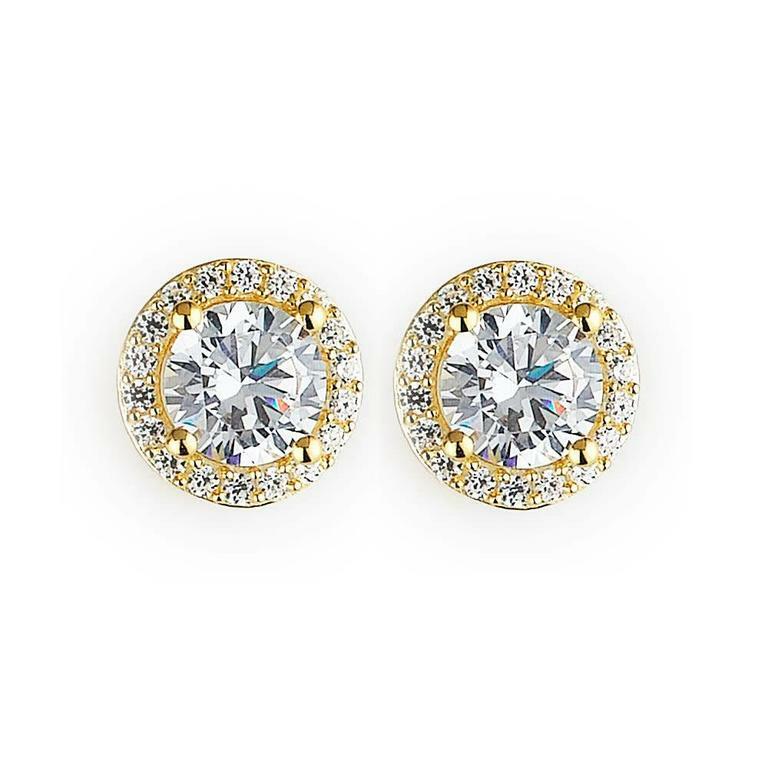 Ladies yellow gold plated cubic zirconia halo earrings of classic styling. The earrings are crafted in sterling silver and plated with a heavy, yellow gold plating. The cubic zirconia's are claw set at center and micro pave set into the surrounding halo. The earrings secure with posts and butterfly backings.